Environmentally friendly production and versatile solutions for garden centres and wholesalers. 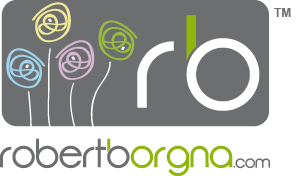 The Roberto Borgna company currently boasts a 1000 sq. m storage warehouse and 20,000 sq. m of production land used for cultivation of aromatic plants and vase plants (daisies, chrysanthemums, solanaceae rontonnetii / blue potato brush and West Indian lantanas), which are distributed between the Campochiesa site (Albenga) and four other sites. Environmentally friendly production is guaranteed by a photovoltaic plant and biomass heating equipment, allowing waste produced by human activity to be eliminated, electric energy to be produced and the dependence on fossil fuel energy sources to be reduced, while producing all over clean energy. This important innovation was made possible by entering into the floricultural pilot project ‘Energy saving for floriculture in protected environments through the use of biomass´ of the Regional Floricultural Institute of Sanremo, developed in collaboration with DIMSET (University of Genoa). Thanks to the launch of this type of heating plant, from 2011 the range of products has been further widened to include basil production. • excellent prices customised according to request, quality, quantity, order frequency and method of payment.